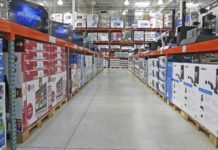 According to the Consumer Electronics Association, the average American household spent $1,380 over the past year on consumer electronics (CE), such as HDTVs, cell phones, video game systems, computers, portable music devices, and Blu-ray players. This translates to a $165 billion per year industry that is apparently thriving in spite of a recession. Already this year, I have purchased a new digital camera, multiple external hard drives, computer peripherals, and a very expensive, high-end printer. It seems like technology is getting smarter, smaller, and cheaper at a faster pace than ever before. According to Moore’s Law, technology doubles its speed and power every two years. But judging by how often new products come out at Best Buy, it seems closer to every two months! While having the latest and greatest electronic devices can be fun, necessary, or both, our addiction to having them comes at a high cost to ourselves and our planet. Enormous amounts of raw, often limited, resources are used to make these devices. Moreover, there are intensive levels of energy and work required to design, assemble, package, ship, and deliver them around the world to consumers. Not to mention that millions of devices are replaced once, twice, maybe even three times a year by customers eager for something better. This results in a large amount of hazardous household waste that is often irresponsibly discarded in the trash. When electronics are not recycled properly, the raw materials inside them leech toxic chemicals into the ground, spoiling both our water and food supply for decades, at least. For this reason, it is extremely important to recycle electronic devices in a proper manner. In 2007, artist Chris Jordan created a 60″ x 100″ work of art entitled “Cell Phones,” which depicted 426,000 cell phones, equal to the number of cell phones retired each day that year. 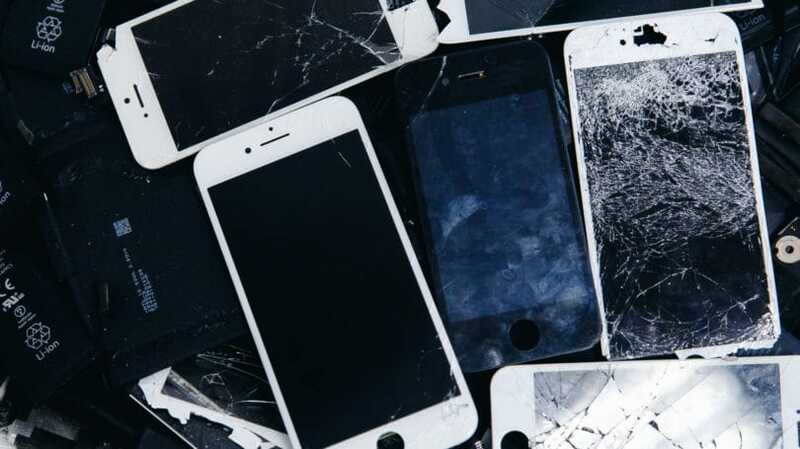 That’s over 155 million cellphones per year that were either thrown away or recycled. Since then, the number has probably gone up appreciably. In 2009, 29.4 million computers were disposed of, but only 18 million computers were recycled properly. This leaves millions of tons of lead, mercury, and cadmium to poison our groundwater and soil for years to come. Moreover, according the EPA, recycling just one million laptop computers can save the amount of energy used by 3,657 U.S. homes in a year – that’s how important it is to recycle our computers in a responsible manner. Every year the latest TV technology, such as LED or 3D, and newly thin and lightweight models, tempts consumers to upgrade their equipment. And upgrade they do! Televisions and computer monitors account for nearly one half of all e-waste in this country, yet only 17% of televisions are recycled in a safe manner. Most are left by the side of the road for the garbage truck to pick up or even covertly dumped in the local landfill. But it is incredibly important to recycle your TV when you replace it to avoid poisoning the earth and future generations. The EPA estimates that over 438 million electronic devices were sold in 2009, which is twice the amount sold in 1997. At this rate, that number will jump to over a billion devices per year in no time. That being the case, it’s essential to recognize the damage we can do to the environment and our children and grandchildren by simply throwing an old device in the trash. In addition to recycling, if we’re able to use our devices longer, we can reduce the number of them produced, which will save vital limited resources and conserve much-needed energy as well. Not only does our demand for electronics harm the environment, but it can also harm our relationships. I remember the first time I saw a cell phone. I was in college and another student’s phone rang in the library. She answered it and actually carried on a conversation while the rest of us crammed for final exams. At that time, this was considered blatantly rude. Now, of course, it’s almost expected. But I love technology. I work from home and on the road. Without today’s technology, my lifestyle would be nearly impossible to keep up with. However, I see the changes it’s causing in our society as well. When I was young, we played video games and had cable TV, but none of it was portable, cartoons weren’t on 24/7, and the games were light years behind those available today. So kids played outside and ran around a lot more than they do now. In fact, according to the Centers for Disease Control, children today are three times more likely to be considered obese than they were just a generation ago. Perhaps this isn’t entirely the result of electronics devices, but it’s hard to believe they’re not at least a contributing factor. Still, it’s not just the kids. It’s me, and probably you too. If I have a spare moment at a cafe, for example, I’m probably on my phone checking email or looking at Facebook. How much do I miss by not simply being present in that moment and in observing my surroundings? Maybe I miss out on the smiles of the baby at the table next to me. Or maybe I don’t notice the attractive person whose eyes lingered a little longer than necessary. Or worse yet, maybe I’m with my family and I interrupt our conversation to respond to a text. Not an important text – just any text. What I’m saying is that we’ve come to value electronic interaction over actual, face-to-face interaction. And that’s what we’re teaching our children. Sure, our phones, laptops, and other electronic devices are necessary for many of us in our working lives. But it doesn’t end there. It seems that especially in our down time, we get online to find entertainment on a screen, even when our family – spouse, children, parents – and friends are available to hang out with in person. Real people with whom we can have live interactions are getting passed over in favor of electronics. But aren’t relationships what make living worthwhile? Don’t we dream of getting married, having kids, and spending time with friends? I don’t think that’s changed. We still love our friends and family as much as ever. But many people aren’t aware of the impact their electronic devices have on these relationships. For example, maybe your spouse or child really wants you to get off your phone or computer so they can spend time with you. But instead of saying so, they get online to distract themselves from your lack of attention. 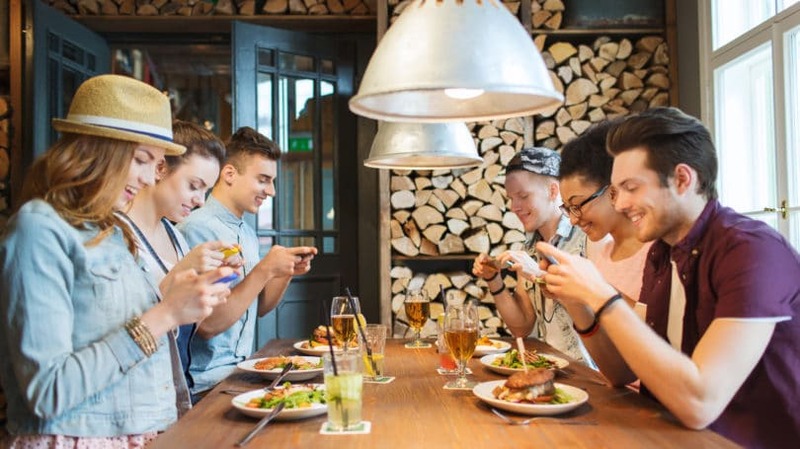 Then, perhaps the next time you want to spend time with them, they’re already online, so you go to your hand-held device since they’re “busy.” The cycle continues and feeds on itself until we have a society that’s more tuned into their electronics than what’s actually going on in the world around them. Does that sound familiar? Second, realize you can ask someone you care about to turn off their phone as well – or at least to not check their messages or email in the middle of your conversation. If you set limits for yourself and ask others for their full attention when you’re together, other people will observe this and recognize they can do the same too. It’s all about balance. Consumer electronics aren’t “bad,” unless they compromise other areas of your life, like your health and relationships. So try turning the phone off, leave your laptop closed, and look around you. Better yet, leave the phone or laptop at home or in another room and enjoy your friends and family without worrying about any information or messages you might have online. Still, one has to wonder where our collective desire and even dependence on electronics has come from. Apple, for example, brilliantly markets their new laptops to make them look “cooler” than other models. I use an Apple computer, and I fall for it. Electronics companies sell us on this and the “cutting-edge” factor. Forget about high fashion jeans – what type of phone or laptop you have is more likely to indicate how cool you are these days. At least, that’s what those who market CE want you to believe. And considering the statistics, they’re pulling it off quite well. We all want to be cool and will pay through the nose to feel that way. It’s no different from those who buy a new wardrobe every six months just to stay in fashion, or a new car every year. Except that buying consumer electronics may be even more expensive financially and can threaten our quality of life for years to come. So are we addicted to consumer electronics? You bet, and the trend will probably continue. Therefore, it’s essential we realize the cons as well as the pros to our new-found obsession. Once upon a time, even smoking was considered healthy and that resulted in a national health crisis. Let’s not allow the CE trend to lead to an environmental crisis, or a cultural crisis in which our best friends are only online. So enjoy your new laptop or phone, but buy, recycle, and use your devices responsibly. Let’s teach ourselves and the next generation to balance face to face time with Facebook and to remember that the graphics outside are still more realistic than any video game ever will be.